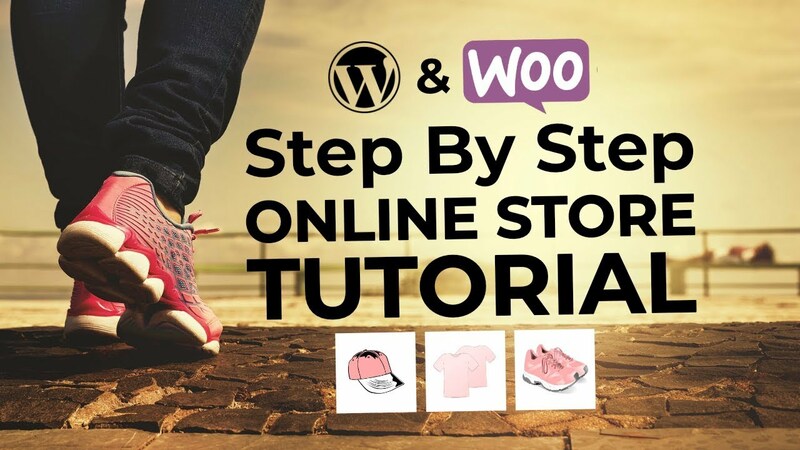 Want to learn how to add YouTube videos to WordPress? 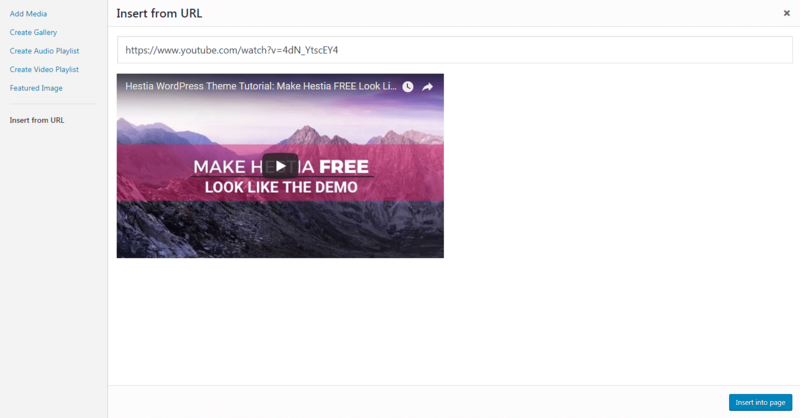 Whether you just want to start embedding other people’s videos in your own content or you’ve got a YouTube channel that you want to integrate into your WordPress site, we have three unique ways to integrate YouTube with WordPress that go beyond the standard YouTube embed. In this post, we’ll briefly discuss why connecting YouTube with your WordPress website is a wise move. Then, we’ll show you how to add YouTube videos to WordPress in three different ways. Let’s press play! Even if you’re just embedding other people’s videos from YouTube or another service, properly using video does a great job of keeping your visitors engaged and will likely increase your time on page (a good proxy for engagement). If you want to get more involved, creating your own YouTube videos is also an excellent way to build an audience online. This is because video content is highly effective at catching people’s attention, encouraging social shares, and even driving conversions. Those reasons are, in part, why we created the ThemeIsle YouTube channel. You can introduce website visitors to your YouTube channel, and vice versa. High-quality videos make your website that much more impressive and provide extra content and value for your visitors. Adding videos to your site can actually increase traffic, and offer a number of Search Engine Optimization (SEO) benefits. Select the Insert from URL button, and paste in the URL for the video. Save your changes, and it will be embedded in your content. People can watch the video on your page, or click the YouTube button to visit its original location. This works for any video – not just the ones you’ve created. This method is perfectly functional. 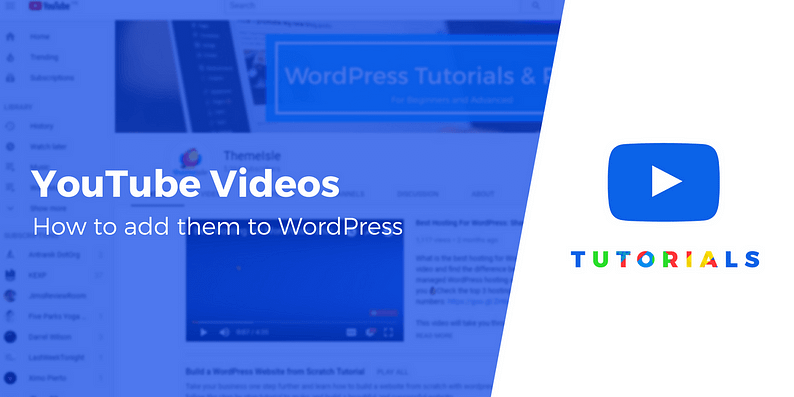 However, there are several more interesting ways to add YouTube videos to WordPress using plugins. Let’s explore each method one by one. The above process lets you embed a standard YouTube video in a text widget. However, what if you want to further customize its appearance and features? It’s worth noting that you can also use this feature to embed an entire YouTube playlist on your site. Just paste in the URL for a video within your playlist, then save and customize the widget as normal. Now, after the first video finishes playing, the next video in your playlist will automatically load (and so on). Rather than simply embedding a few videos into your website, you may want to feature your whole channel. This is a perfect way to show off your entire body of work and encourage visitors to check you out on YouTube. That’s it! Finally, let’s talk about creating a YouTube gallery. At the top of this screen, you can enter a title for your gallery, then pick a layout for it under Gallery Video Option. Then, you’ll need to add a title for your first entry, select the Add Video button, and enter the video’s URL as normal. This plugin offers a lot of options, which you may want to read more about in its documentation. It’s not a stretch to say that video content is the future of the internet. If you’re still only adding text-based content to your website, you’re missing out on the opportunity to really grab your visitors’ attention and keep them coming back for more. That’s why it’s so crucial to integrate your YouTube videos with your WordPress site. Use a dedicated YouTube widget, which you can add with the YouTube Widget Responsive plugin. Add your YouTube channel to your site using the YourChannel plugin. 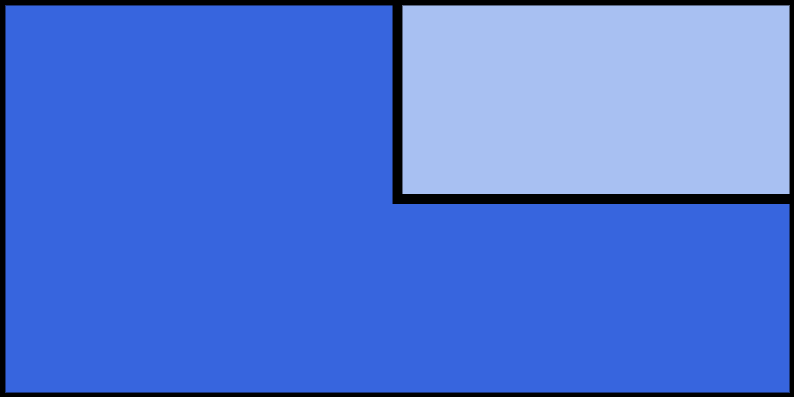 Create a gallery of videos via the Video Gallery plugin. Do you have any questions about how to use the plugins we’ve discussed in this post? Ask away in the comments section below!